Finland's Academy Award® Submission for Best Foreign Language Film. This is a story about a small boy who had two mothers and still had none. 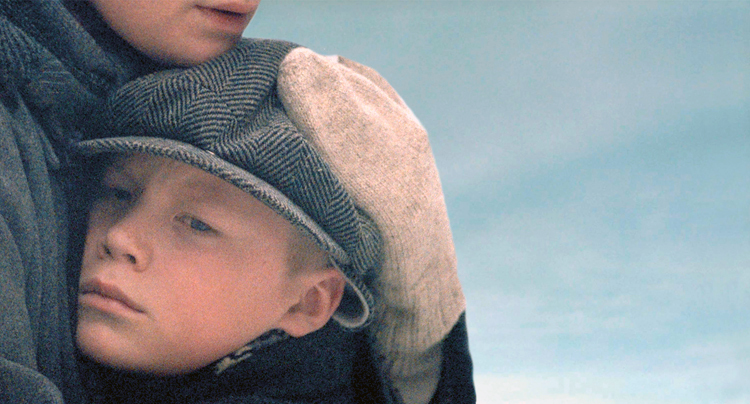 1943 in a war-torn Finland 9-year-old Eero's father is killed at the front. Eero_s mother makes a painful decision to send her only child to safety in neutral Sweden. In Sweden, Eero_s foster mother, Signe, welcomes him to her home but not to her heart. Eero doesn_t speak any Swedish and feels unwelcome in his foster family while missing his mother terribly. All the long-awaited letters from his mother are addressed to Signe, not to him. One day Eero accidentally discovers a letter which he never was supposed to read. During the Second World War over 70 000 war children were send from Finland to Sweden, Denmark and Norway in the biggest evacuation of children ever experienced in the world. Mother of Mine, by award-winning director, Klaus Härö, is the first feature-length film ever made of the fate of an individual war child.